Set a desired reference value with the comparator function, and it will judge PASS (Green) or FAIL (Red) of a measurement result. The measurement time of insulation resistance is approx. 0.5 s, which contributes to reducing the operation time. 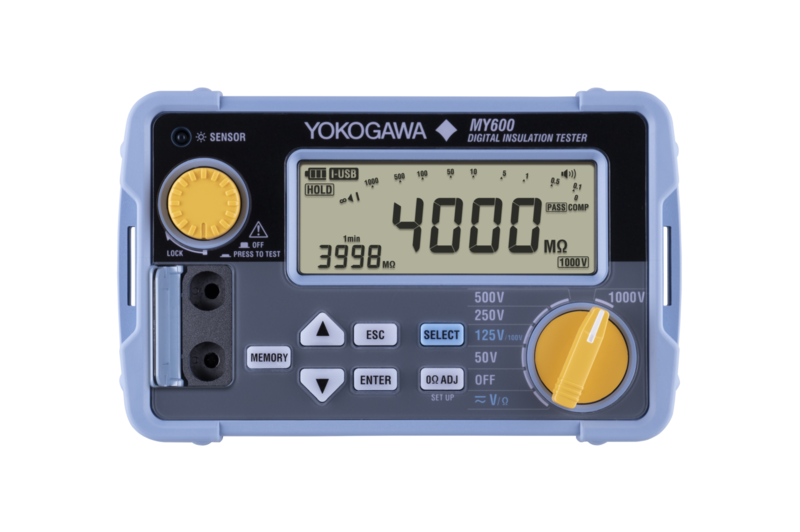 *Under the conditions specified by Yokogawa, it may take time to measure due to the influence of capacitive component of a measuring target. PC communication is possible with the dedicated USB communication adaptor (91030). 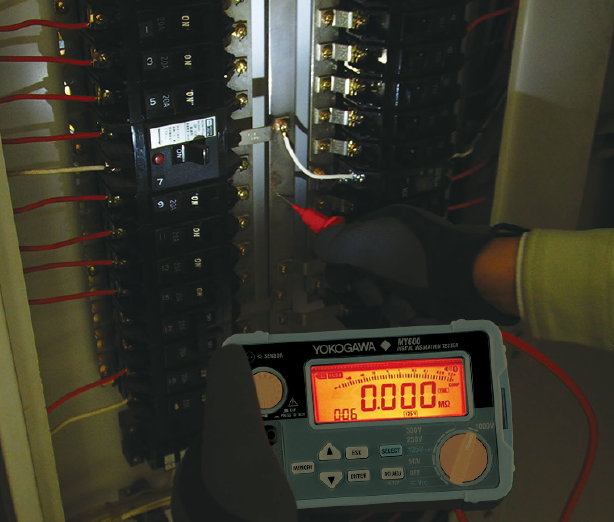 Users can save as many as 1000 measurements to the internal memory from which data required for report generation, such as measurement data/time, measured value and range can be transmitted to a PC via communication. Driver installation is required to use the 91030 USB communication adaptor. The increase and decrease of resistance value can be measured by continuously measuring the insulation resistance for a prescribed time. The insulation deterioration of the unit under test can be diagnosed by this increase/ decrease. This parameter is useful for preventive maintenance of industrial automation equipment such as Magnetic Flow Meters or electrical equipment. MY600 has a backlight that automatically lights up in a dark place, as well as an LED light to illuminate objects. 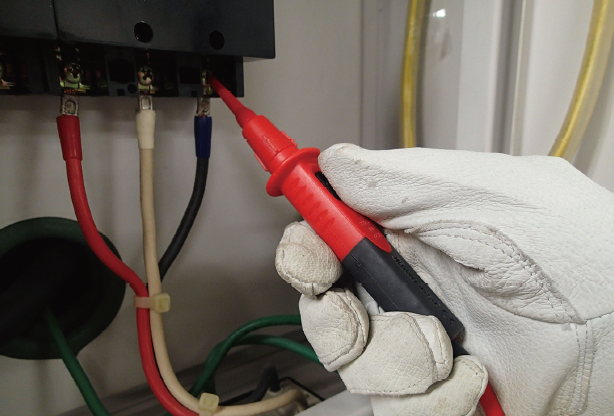 Users can turn measurement on/ off with the hand switch on the line probe, allowing them to work more efficiently. This probe is included with the unit.